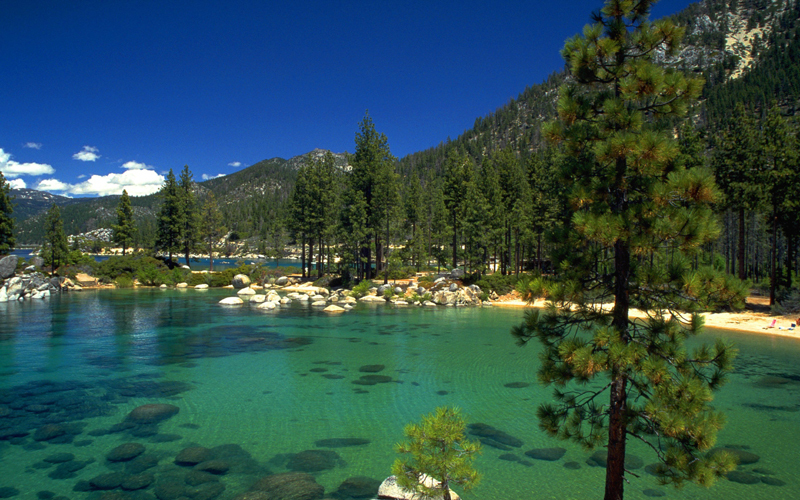 California is situated in the western part of the US in the coastal area. This region has a rich flora and fauna. This area has a western culture. Los Angeles in California is famous for Hollywood, and its beaches. The coastal area and waterfront of this region is very beautiful. Visitors enjoy holidays in this area while relaxing and exploring the various attractions. The best places to visit in California are as follows. Golden Gate Bridge has towers and sweeping cables. It is a suspension bridge with a majestic span. It is a landmark of San Francisco. The bridge can be seen through car window. Walking and biking near the bridge is lot of fun. You can take a bridge tour, which takes about three hours. Monterey is a bay front area famous for aquarium and seafood restaurants. You can browse the galleries and shops of this area. You can taste local wine in the winery of this place. You can visit the aquarium, which has many types of jellyfish and seahorses. Sandpiper Golf Club is an affordable seaside golf course from which you can see the Pacific Ocean. This area is surrounded by mountains. The golf club has 7,000-yard tract, which hosts golf tournaments. Many people organize weddings in this golf course. Calistoga city is famous for hot springs. The city has many wineries, which you can explore. You can enjoy mud bath in volcanic ash. The spas in this area are good for relaxing and rejuvenating. The city has many boutique shops. Morro Bay is a place where you can have fun. This coastal city offers you a chance to be close to ocean and do sailing and surfing. You can do hiking and kayaking here. You can watch whales and dolphins in this area. You can do shopping in boutiques while dining in the restaurants. Thousand Island Lake is situated at a height of 10,000 feet. There are many granite islands on the surface of this lake. The view of surrounding landscape is superb. The lake is situated in the boundary of a national forest. You can do hiking in this area. Catalina Island is a great place for relaxing. It has many beaches, villages and wild areas. This area has many shops and restaurants. The villas and hotels of this area have beautiful interiors. You can explore the city on rented bikes. San Francisco is known for five star dining and the Bay area. The city has many theaters. It has opera house, which holds events of ballet and symphony. There is modern art museum, which displays artworks. You can enjoy boating and sailing in the Bay area. Huntington Beach is a bonfire capital, in which you can light up fire during night in the beach area. You can also enjoy surfing and volleyball in the beach. You can cook food in the beach with the help of wood given by hotels. The whole atmosphere seems as if you are enjoying a beach movie. Sea Ranch is a place in California that has lodge and rooms. This place does not have fences and lawns, due to which you can see the surrounding landscape very clearly. You can do hiking and biking in this area. The place is good for riding horse. You can enjoy golf and kayak here. These are best places to visit in California and these places are perfect for enjoying holidays.